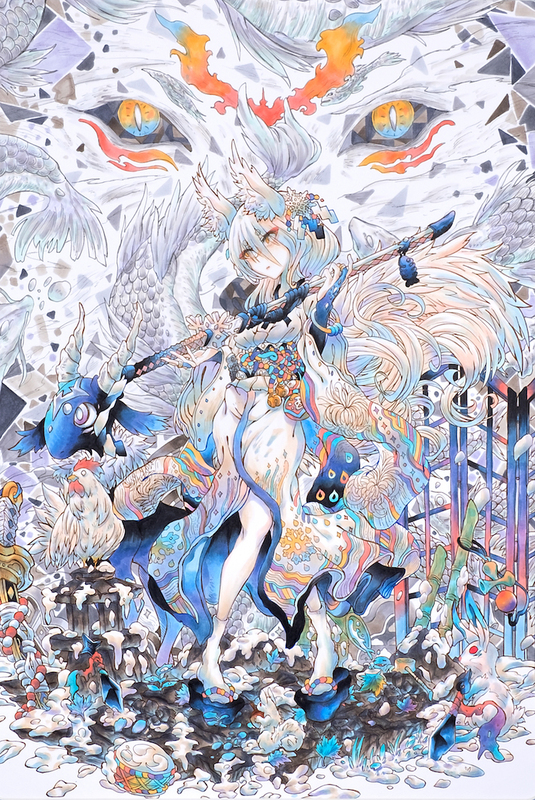 COPIC AWARD 2019 is an illustration contest that accepts artworks created with Copic markers. Interested applicants can start submitting their illustrations starting today, December 3, 2018. 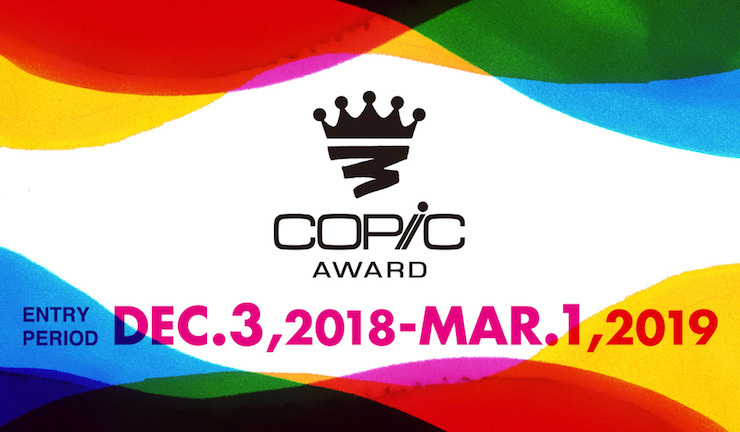 What is COPIC AWARD 2019? It is a competition created to fulfill three purposes. First, to provide a space on the Internet for the world to see artworks created using Copic markers. Second, to connect the fans of Copic markers from all over the world. Third, to make the act of creating an artwork using Copic markers into something exciting. Considering the fact that Copic markers are distributed in more than 50 countries in the world, this contest is a world-scale project with Copic artists from around the world as its targets. The first contest, COPIC AWARD 2017, saw as many as 1,500 artworks. The panel of judges include creators that are active on a global scale. Each winner of the grand prize will be presented with a fund amounting to 5,000 USD (approx. 560,000 JPY) and a full Copic set of 358 markers. Of course, tons of other rewards will be prepared for the award's various prizes such as the U-18 Award and the Judges' Award! Applicants of any age, gender, occupation, and nationality are welcome to apply. However, applicants are only allowed to participate as individuals. Your entry must be a work that has yet to be made public through public exhibitions or events. 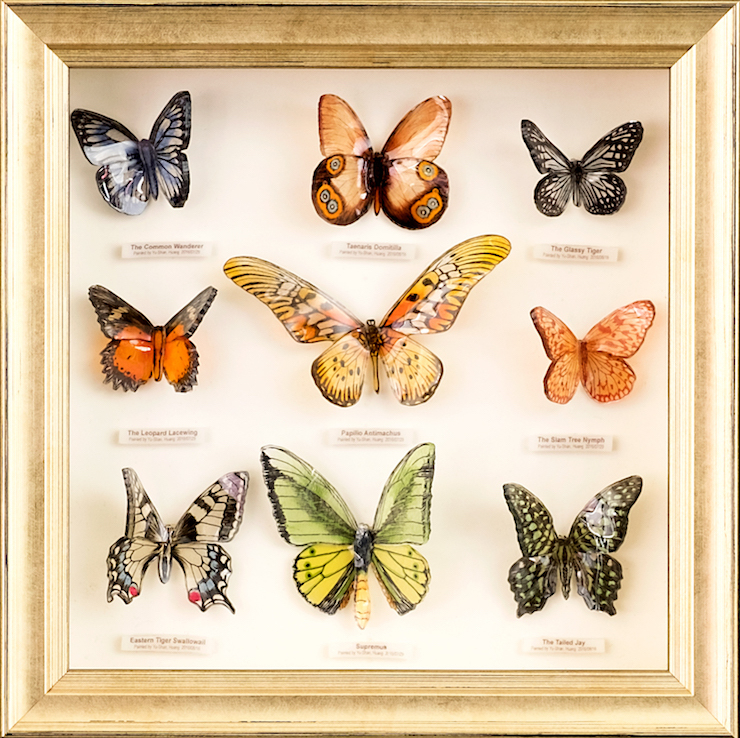 However, a work that has been published via your individual exhibition or social media account is an eligible entry. 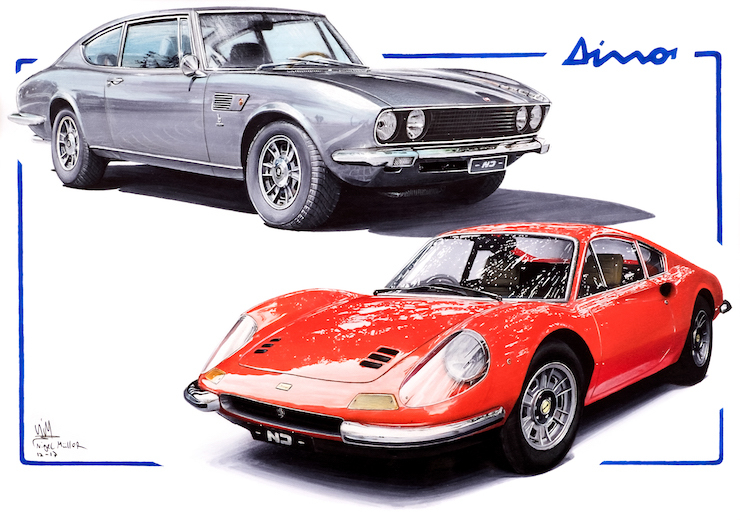 The work (created on either a flat surface or a three-dimensional artwork) must be made using Copic markers. You are welcome to combine the markers with other painting materials. The dimension must be within L 594mm x W 420mm x D 300mm and the weigh must be within 5 kilograms. You are free to choose a theme and type (i.e. a design, an art piece, an illustration, a craftwork, etc.) for your work. * Please do not use base materials that are prone to breaking such as ceramic or glass. * An applicant is only allowed to submit one entry. * The entry must be an original work and does not infringe on a third party's intellectual property rights. 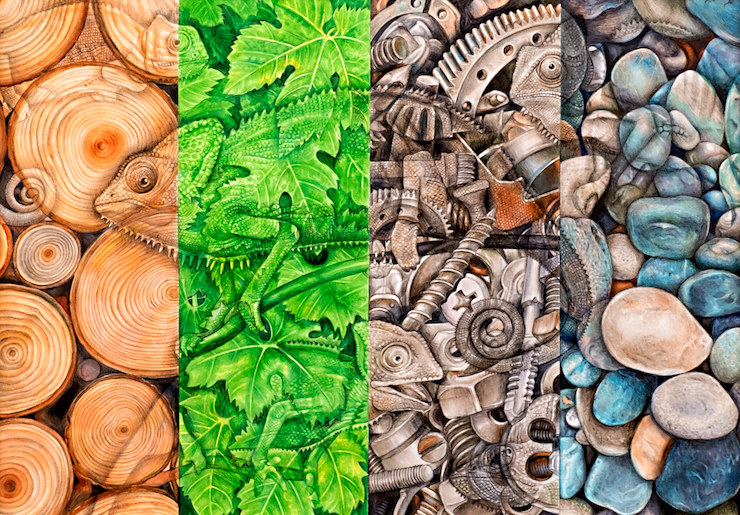 * Entries submitted for this contest may be used for Copic global promotional activities (e.g. in a product catalog, packaging, websites, etc.) conducted by Too Group. * Minors must first obtain the consent of their guardian before participating in this contest. Check out the previous award's winning works! 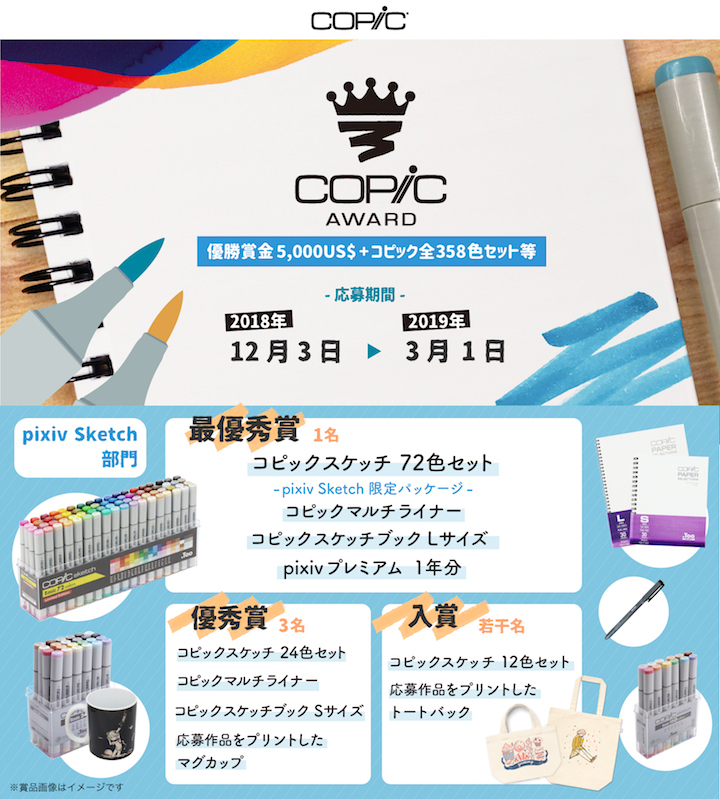 Don't miss pixiv Sketch x COPIC AWARD too! pixiv Sketch is a place where users can enjoy both the act of creating illustrations and communication. Today also marks the start of an illustration contest held in collaboration between pixiv Sketch and the ongoing COPIC AWARD. Simply tag your work using the contest's designated tag in order to participate in this contest. 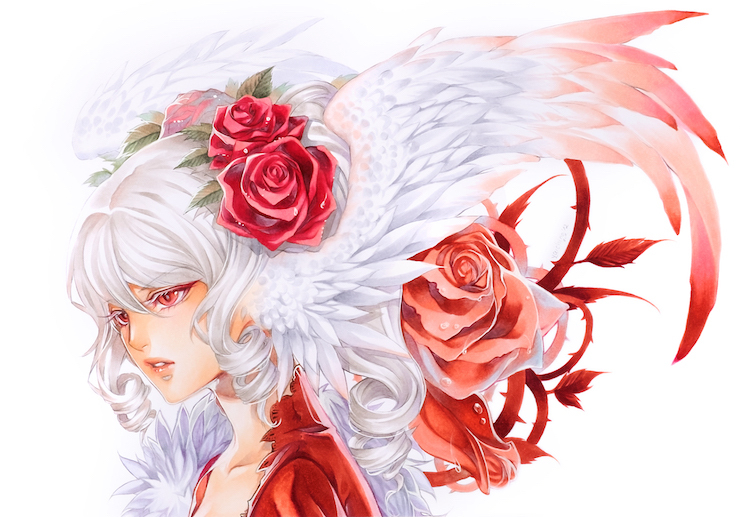 You can also submit the same work to both pixiv Sketch contest and the COPIC AWARD! Don't miss this opportunity to win two contests at once. Click here to learn more about how to upload your work. * You will need a pixiv account in order to upload works on pixiv Sketch. We are eagerly waiting for your entries!